Before Moshiri invested in Everton in February 2016 the recruitment of players was one thing Everton excelled at for the most part. Players were plucked from all four corners of the globe – most relatively unheard of and for very little money and were turned into household names as they helped Everton consistently over-achieve before being sold for huge profit. Once the investment arrived we all thought this was the time Everton finally took that next step and could go from perenial over-achievers to eventual contenders. However, Everton have taken a serious step back in the last season and a half and worryingly relegation looks more likely than a title push. 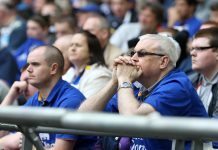 There is no doubt since Moshiri opened up the cheque book in the summer of 2016 the Blues have been like a kid in a candy shop plucking anyone and anything off the shelves. It seems the months and sometimes years of scouting and hard work that went into buying players no longer exists and now as soon as a name pops up into the media Everton will more than happily splash out millions to sign him. Big money buys like Gylfi Sigurdsson (£50 million from Swansea), Theo Walcott (£30 million from Arsenal) and Cenk Tosun (£27 million from Besiktas) have all failed to deliver on a regular basis and Davy Klaasen (£24 million from Ajax) is no longer at the club. This can’t be solely blamed on the manager. The club now has a structure in place and a director of football in charge of recruitment. 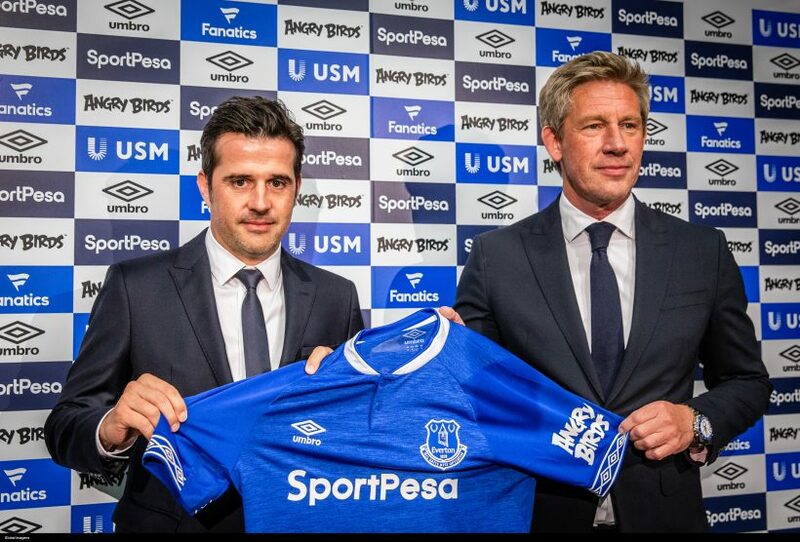 Steve Walsh was the man entrusted by Moshiri with the treasure chest but that was an unequivocal disaster and he has now been replaced by Marcel Brands who to be fair has started well in his new role. He has brought in Lucas Digne from Barcelona and the left-back has quickly become a favourite at Goodison Park along with Andre Gomes who is currently on loan from the Spanish giants. 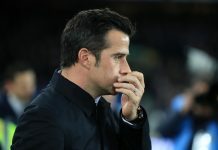 Richarlison became Everton’s record transfer signing when he was brought in from Watford in the summer for £50 million but Silva has to take credit for that deal to having managed the forward last season. The Brazilian currently tops the goal scoring charts at Everton having notched 10 goals in his 23 Premier League appearances so far this season. While it’s clear the manager is responsible for what happens on the pitch and at the moment the blues lack an identity and can’t defend a set piece to save their lives and that’s something he has been unable to address so far and needs to quickly. He isn’t responsible for what’s happened previously and players like Theo Walcott, Gylfi Sigurdsson, Cenk Tosun and Dominic Calvert-Lewin are not good enough to be playing for a team wanting to win trophies and compete for a Champions League place. You only have to look at the Superbowl on Sunday to see how important it is to have players and managers who are used to winning and have experience at a high level and most importantly can deal with the pressure of a big game, something Everton have struggled with for years. Along with some mediocre signings in the last few years the last four managerial appointments have also left a lot to be desired. Roberto Martinez was clearly hired on the back of his FA cup triumph with Wigan despite the fact they had also been relegated. Ronald Koeman had bounced around at a few clubs without major success and despite doing well at Southampton nothing immediately signalled he was the man to take Everton to the next level, Allardyce the less said about that the better and now Silva, a man who was relegated with Hull and despite a good start to the season at Watford, they were on a rapid decline before he was eventually sacked. 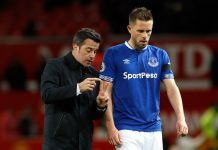 Maybe Marco Silva isn’t the answer, right now it certainly appears that he’s not but it’s not just poor decisions on the field that are affecting the club, there have been some awful ones off it and they have set the club back years. It’s going to take time and patience to rebuild but unfortunately for those involved they’re not luxuries afforded to anyone in modern football. Portsmouth, Wigan, Swansea, Blackburn, Middlesborough and Leicester have all won a trophy since Everton lasted tasted cup success in 1995 and its clear if we are going to get our name back into the history books then better decisions need to be made on and off the field.